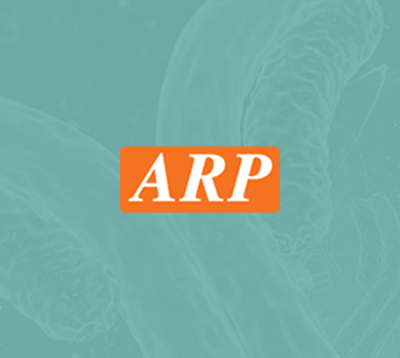 TTC11, 1-122aa, Human, 01-1833 | ARP American Research Products, Inc.
TTC11 is a component of a mitochondrial complex that promotes mitochondrial fission. This protein can induce cytochrome C release from the mitochondrion to the cytosol, ultimately leading to apoptosis. It is also involved in peroxisomal growth and division. The C terminus is required for mitochondrial localisation, while the N teminus is necessary for mitochondrial fission. Recombinant human TTC11, fused to His-tag at N-terminus, was expressed in E.coli and purified by using conventional chromatography. 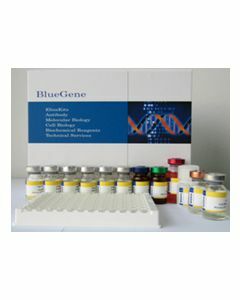 FIS1, Tetratricopeptide repeat domain 11 2010003O14Rik, CGI 135, CGI135, FIS 1, Fis1 homolog, FIS1, S, cerevisiae, homolog of, Fission 1 (mitochondrial outer membrane) homolog, Fission 1 (mitochondrial outer membrane) homolog (S, cerevisiae), Fission 1 (mitochondrial outer membrane) homolog (yeast) Fission 1 homolog, H NH0132A01.6, hFis 1, hFis1, Mitochondrial fission 1 protein, Tetratricopeptide repeat protein 11, TPR repeat protein 11, TTC 11. Martinou JC., et al. (2003) J Biol Chem. 278(38):36373-9.